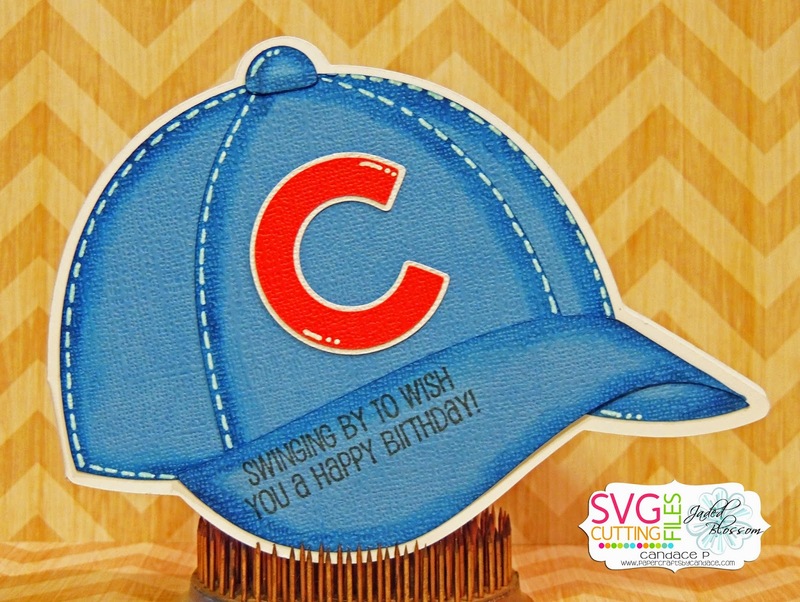 Paper Crafts by Candace: SVG Cutting Files Challenge: Birthday! Happy Sunday!! Today starts a new challenge over at SVG Cutting Files!! This months challenge is BIRTHDAY CARDS!! For ONE WEEK ONLY you can get a FREE MLB LOGO with purchase of the hat file. The baseball cap shaped card is HERE. Just check with sales@svgcuttingfiles.com first to make sure Ann can create that logo. Logo freebie with baseball cap shaped card purchase ends March 22nd!! I also used Jaded Blossom's Super Hero stamp set for the sentiment.